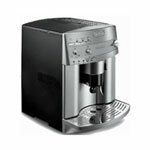 Our expert coffee connoisseurs reviewed many coffee makers and present to you the ten best coffee makers for all types of users. If you are a coffee fan, you know first-hand how important it is to have something brewing to kick off your day. For some of us, that same brew of coffee keeps us going through the day. 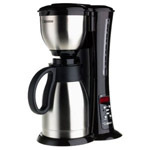 If you are researching drip coffee maker reviews for a gift for someone else, know this, a hot cup of good coffee can put a smile on the face of most anyone. 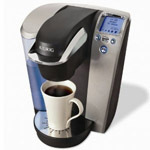 We rounded up several expert coffee connoisseurs to find the 10 best multi-cup automatic coffee makers out there. Many of these products are very affordable, especially when considered against a purchase at a local coffee shop. These coffee makers can make anywhere from 8 to 12 cups of coffee. For surely, one cup of good joe just isn’t enough See the coffee maker comparison and ratings below with a link to the full review of each. Good, clean water and how it tastes has a definite impact on your coffee. An extra water filter is a good choice for your coffee maker especially if you don’t have a water filter on your whole home or kitchen tap. If your water already tastes good, there’s less of a need for a water filter in your drip coffee maker. If you want to have the freshest coffee taste, most experts will argue that whole beans ground the same day will produce the best result for a cup of coffee. 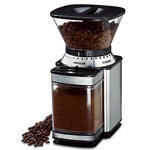 Several coffee makers do come with their own grinding machine for consumers wanting to have their beans ground on demand. Luckily for us today, there are also plenty of ground beans roasted to perfection and then ground and packaged that can be used in your drip coffee maker to produce nearly the same quality cup. One area that is under consideration for consumers who like to drink coffee most of the day, the coffee carafe will also be an important part of that consideration. Thermal coffee makers can be a bit more expensive and will keep coffee hot and ready-to-drink for many hours without any burnt coffee taste. Finding the right machine may seem overwhelming given the thousands of options. The ten drip coffee makers we rated and present here cut through the clutter. 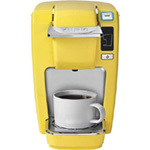 Once you figure out which elements are most important to you – from single cup to 12-cup makers, to water filters and programmable options, the perfect machine will pop out. Of the top ten, we also rated one for best price, one for best value and one for best quality. Final machine choice is ultimately up to you. 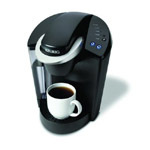 noisseurs to find the 10 best multi-cup automatic coffee makers out there. Many of these products are very affordable, especially when considered against a purchase at a local coffee shop. These coffee makers can make anywhere from 8 to 12 cups of coffee. 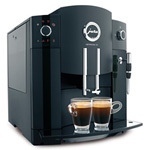 For surely, one cup of good joe just isn’t enough See the coffee maker comparison and ratings below with a link to the full review of each..